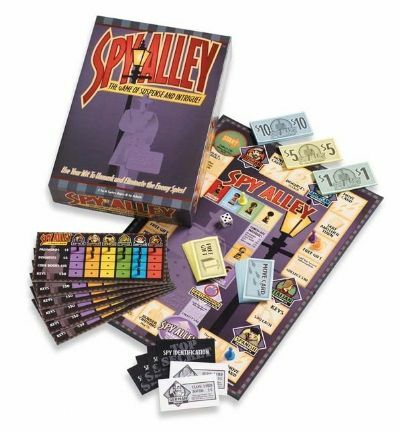 SPY ALLEY® The Game of Suspense and Intrigue! Deceptively simple and surprisingly intense, Spy Alley keeps you on the edge of your seat. Players become a spy for their given country and try to uncover their opponents* identity while keeping their own identity a secret. Players use deductive reasoning to expose other spies while attempting to complete their mission by obtaining code books, disguises, keys and s.
You will be surprised how difficult it is to deceive your friends and family. A slip of the tongue, the blink of any eye, or even the twitch of a muscle may give your identity away.